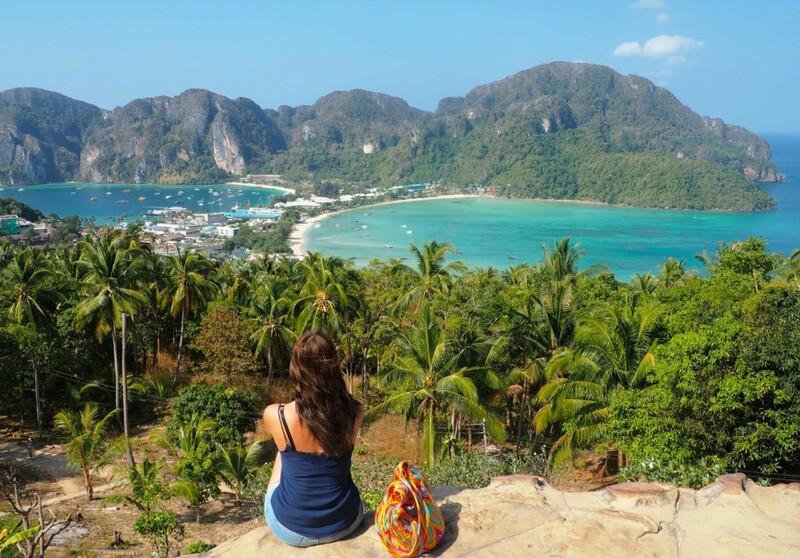 As soon as you step foot in Myanmar, adventures are guaranteed. 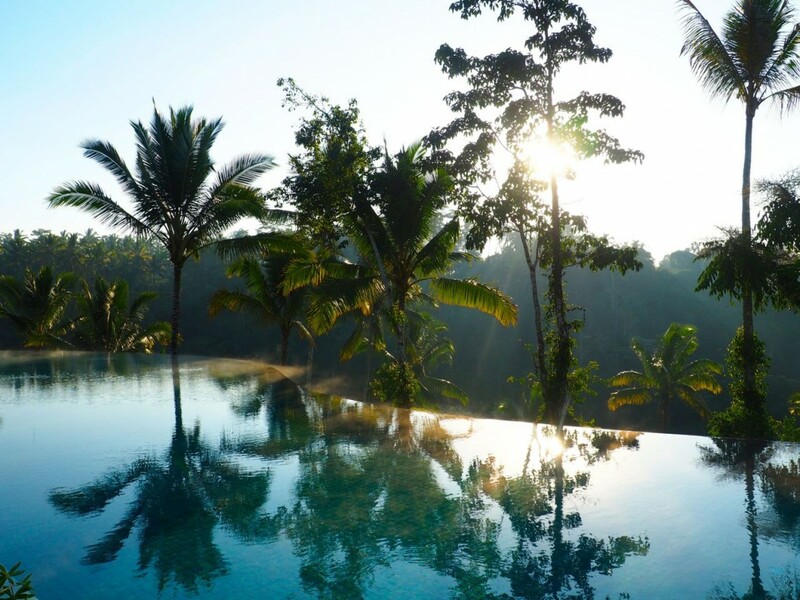 When traveling through this magical country, that only recently opened up to tourism, you will come by countless sights – one more fascinating than the other, you are going to find yourself in a variety of different natural sceneries and are going to meet the kindest people on the way. My days in Myanmar with Stray Asia were filled with many wonderful moments and experiences. 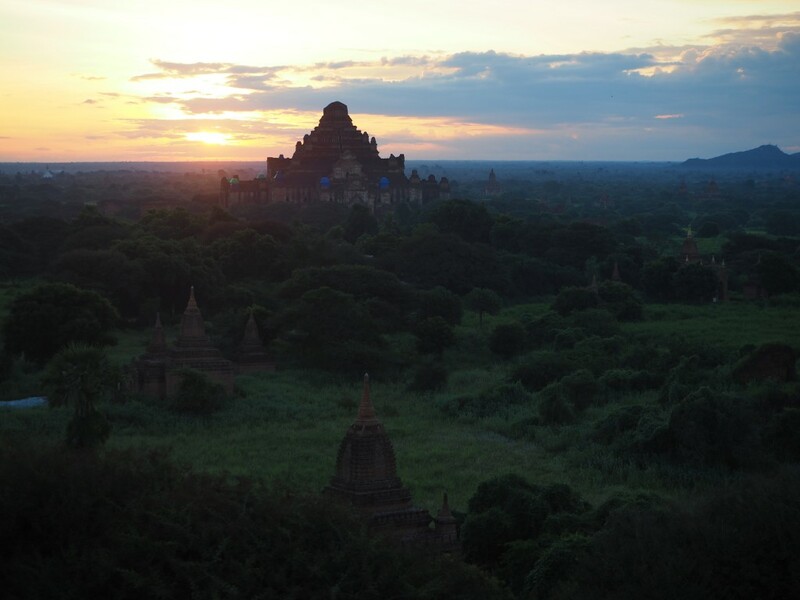 Here is a list of things you simply can not miss when planning your trip through Myanmar. 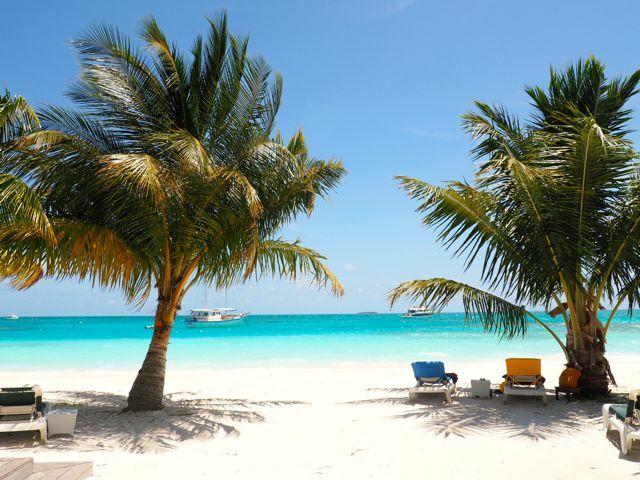 If you need information abot visa requirements, transportation, local currency etc. check this article on my blog or check Stray’s Myanmar Travel Guide. I will start with one of my favorite travel experiences of all time: watching the sunrise sitting on one of the pagodas overlooking hundreds and hundreds of temples that were constructed in the 11th to the 13th century. A photo of this scenery made me want to go to Myanmar in first place and I didn’t get disappointed. It might sound cliché but it was truly a magical scene. While the popular spots to watch the sunrise are popular for a reason as you are going to have a great view from above, try to look around a bit and select a lesser known spot. If you are lucky you will be the only one sitting atop of one of the pagodas watching the sunrise in silence and you won’t be fighting for a nice spot with people trying to snap a good photo. 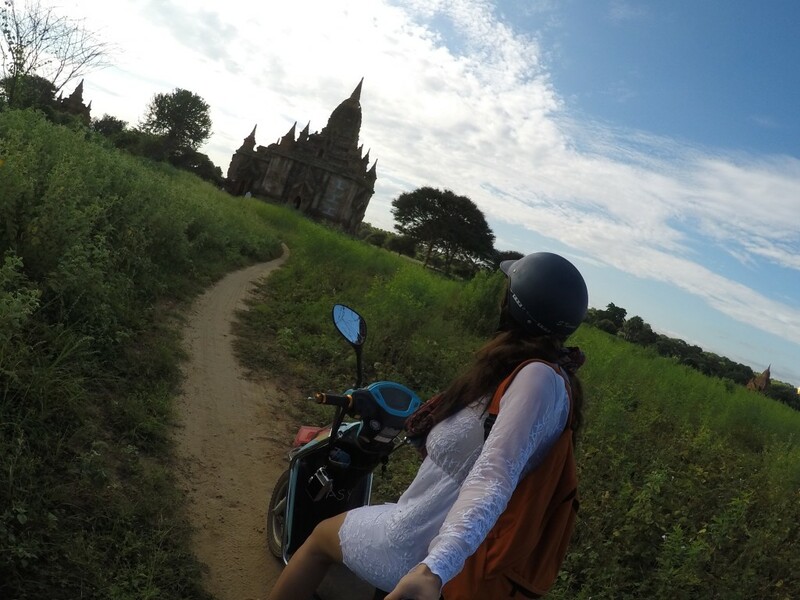 Another cool thing to do in Bagan is cruising around by bike or electric scooter. Considering the temperature and the sheer size of the area I would opt for the second option: the electric scooter. The archeological zone, defined as a 13 x 8 km area around Old Bagan, is made up by over 2200 remaining temples and pagodas and you will never be able to see them all. I loved cruising around without a plan and exploring the area at my own pace. Whenever something sparked my interest I would stay for a while. On one of the days I drove by something that appeared to be a ruin of a former monastery and got stopped by a monk. I thought that he would tell me that I wasn’t able to drive here, instead he wanted to show me the beautiful view from the top of the monastery. We climbed up there and the view overlooking Old and New Bagan was magnificent. 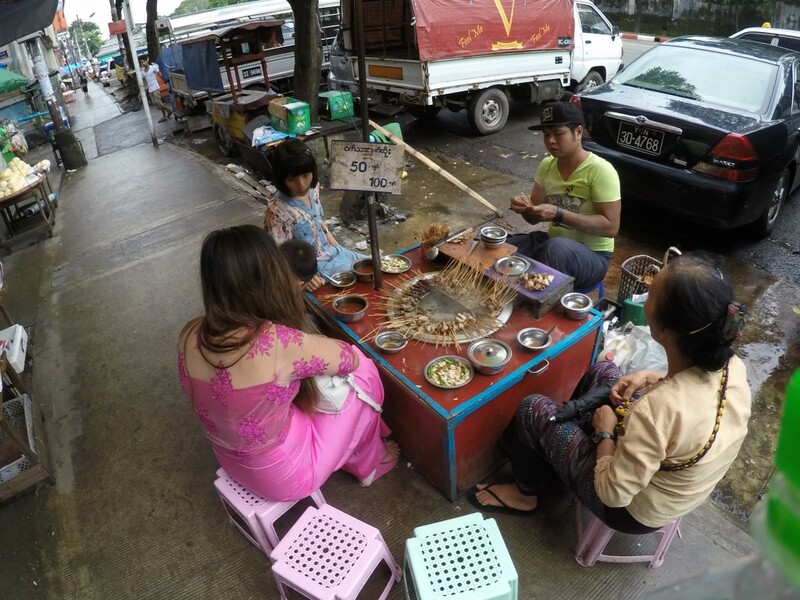 When you arrive in Yangon you will notice all the food stalls on the streets that seem to be everywhere. If you are feeling adventurous enough I would recommend you to have a sit on a small plastic chair and give it a try. Very popular were stalls that offered meat fondue, but you will find literally everything ranging from bbq skewers, noodle dishes to fried insects and much more. Another great experience is to visit a tea house. The Burmese love to drink tea and often you will spot locals sitting somewhere with a big pot of green tea in front of them. In a local tea house you will also be able to try some nice cakes and of course drink unlimited amount of tea. 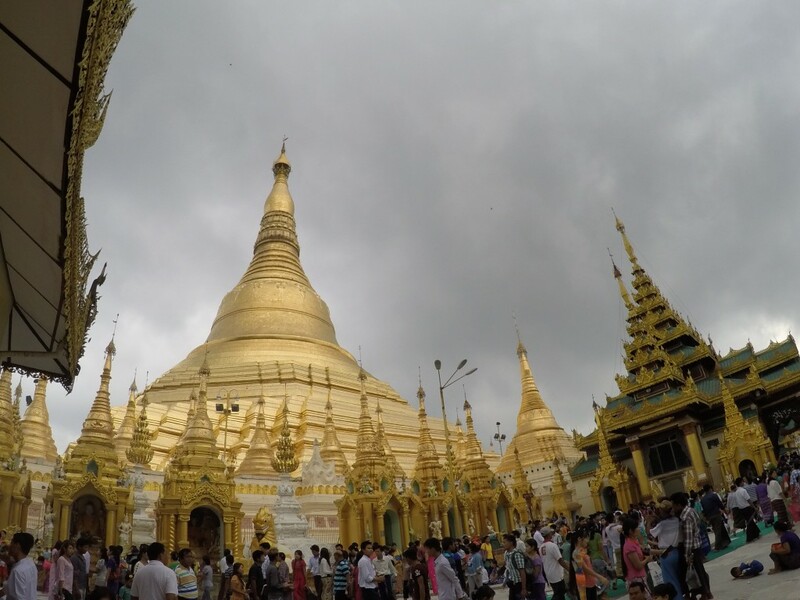 The Shwedagon Pagoda is one of the must sees in Yangon and is considered the most sacred Buddhist pagoda in whole Myanmar. Seeing this massive golden pagoda that stands 99 meter tall and can be seen from almost everywhere in the city was probably already on your itinerary (if not I highly suggest you put it on there). The best time to visit is at dawn. Try to plan a visit one hour before sunset. Crowds will be less and it is a good time to take photos. You will still be able to see the glittering, golden pagoda during sunlight. Then watch the light and colors change during sunset. As soon as it gets dark candles will be lid and the pagoda is in the spotlight. Just opposite in the Vista Rooftop Bar you have a great view of the pagoda at night while sipping on a cocktail or a cold Mandalay beer. It’s all about the journey, not the destination. 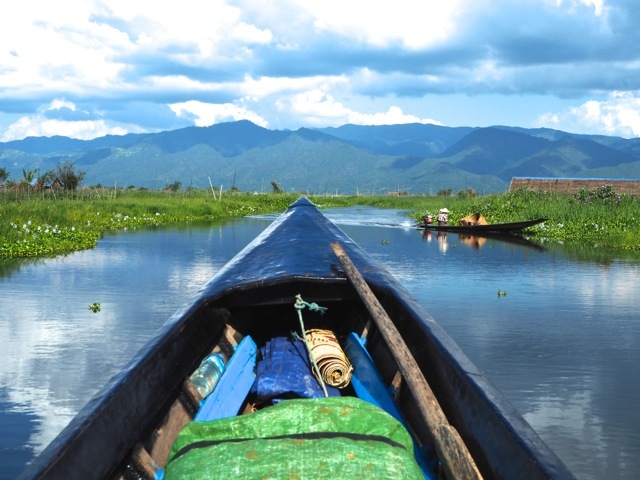 While you might be eager to get to beautiful Inle Lake as quick as possible, I tell you to take the slow way instead. 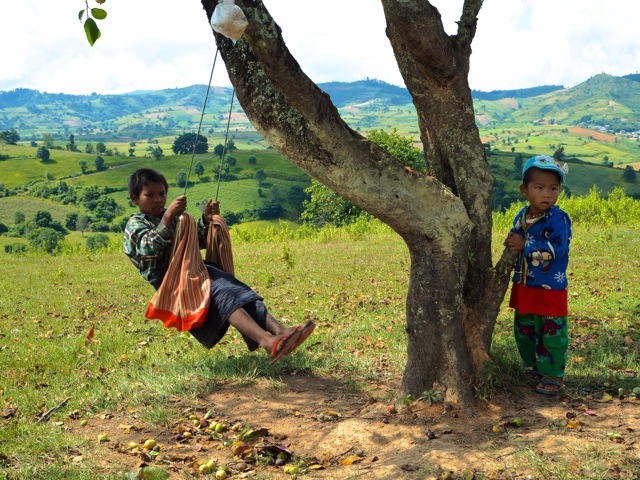 From Kalaw you have the option to go on a two or three day trek to Inle Lake. We chose the two day trek with a night in a local village. In the morning we got picked up from a local girl, our trekking guide for the next days. She gave each one of us a walking stick out of bamboo: “You will need it.”, she said with a twinkle in her eye. I actually had no clue what the countryside of Myanmar would look like and was surprised that we started off somewhere that looked very similar to German or English countryside, we saw farmers at work, stopped by in a local village for tea and lunch, then continued our trek. Soon the scenery changed: we came by rice fields, spotted water buffalos, then the scenery changed to beautiful limestone mountains. We slept in a local village and started the last part of the journey early the next morning. When we finally arrived at Inle Lake we were so excited. We made it. On foot. 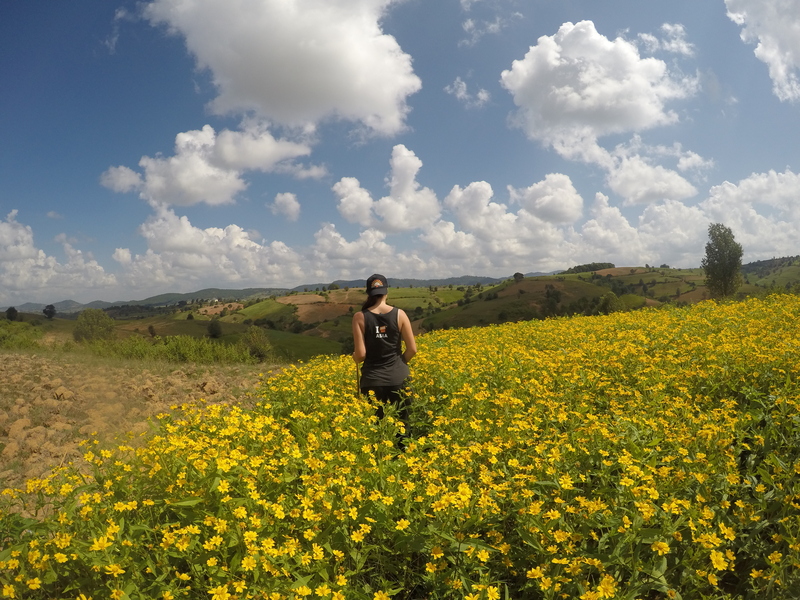 The trek from Kalaw to Inle Lake was one of the highlights of my trip. As much as I enjoyed the scenery I lalso oved talking to our guide and learning more about her country. Homestays are widely common in South East Asia and give travelers the opportunity to stay with a local family and learn more about the culture and way of life. Also in Myanmar you will have the option to do a homestay and experience Burmese culture in a truly authentic way. On our trek from Kalaw to Inle Lake we stayed one night in the home of a local family in a tiny village in the mountains. When we got there, the entire family was waiting and warmly welcomed us. They already had some snacks prepared for us and of course there was the obligatory tea. At dinner time we sat together and shared food and stories. As the day starts very early in Myanmar, the locals go to bed around 9 pm. They had the beds prepared for us for the night and we also went to bed early as we had to trek the next morning. It was truly amazing to get an insight in their house and their way of life that you would perhaps not get otherwise. The next morning they painted our faces with Thanaka to protect us from the sun and after playing a round of football together, we said goodbye to this wonderful family. Inle Lake is a unique place that I haven’t seen elsewhere in its form. On the 45 m2 freshwater lake itself are many little villages. Those people actually live on and from the lake. 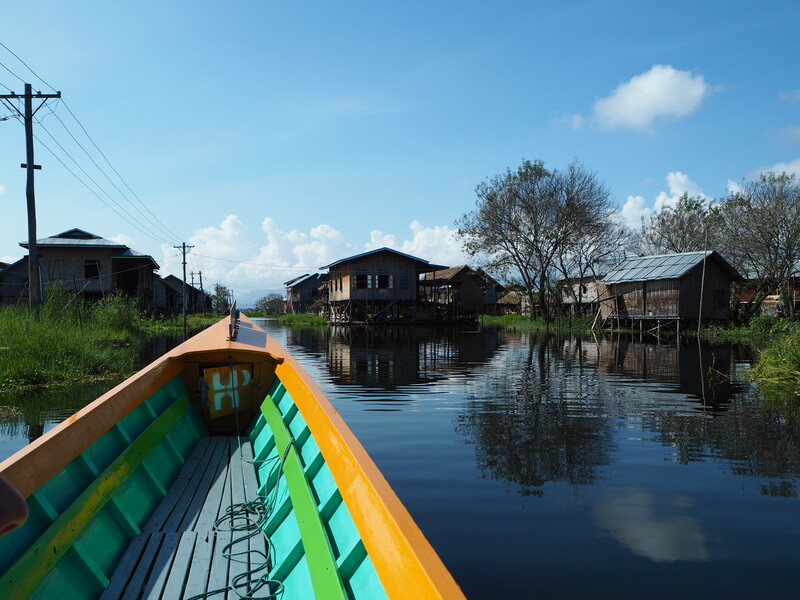 They built houses on stilts, move around by small boats and in addition to fishing they grow their food in floating gardens. Each village masters a different handcraft and goods are regularly exchanged on local markets. A popular activity is to take a boat tour spending a day on the lake learning more about those people and their culture. Did I think I would sip on a glass of Sauvignon Blanc from the region and be snacking on a cheese platter while overlooking a wine estate? Absolutely not! However Myanmar is full of surprises and that is exactly how I ended one of the days on my trip. 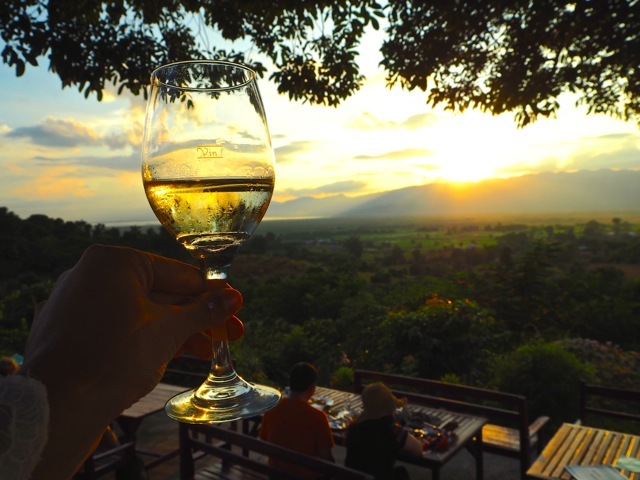 When our guide suggested to cycle up to a winery overlooking Inle Lake, I immediately agreed. After only eating local food and having Mandalay beer, the thought of a nice glass of wine made me cycle up the hills in no time. The view was magnificent, the wine… mhhh not so much. Still it was beautiful to sit up there, have a chat and watch the sun set. The Burmese are a special bunch. Hardly anywhere I was welcomed with such friendly smiles and a genuine interest than in Myanmar. Maybe that is because their country hasn’t been overrun by tourist for so many years or maybe that is just how they are. 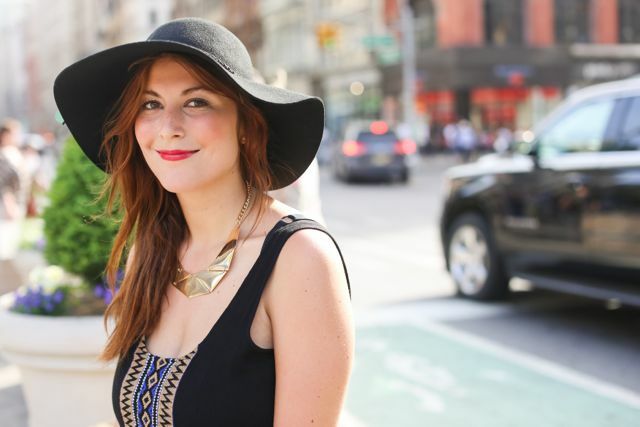 Don’t be shy and chat with the locals. They will talk with pride about their country and culture and are very happy to hear that you are interested in their customs and way of life. I often experienced that even when there was no common language, gestures were enough to communicate. I had a very memorable moment in Mandalay. I was looking for a place to have dinner and came by a street stall where a little girl of maybe 5 was helping her mum to prepare the food. I ordered and the little girl brought it to me. She couldn’t speak any English, after giving me my plate she hesitated for a second and then leaned over to give me a long hug out of nowhere. I was so touched by that gesture. During your time in Myanmar you will encounter a lot of people telling you there is nothing to do in Mandalay. How wrong they are. This large city might not looking appealing at first. 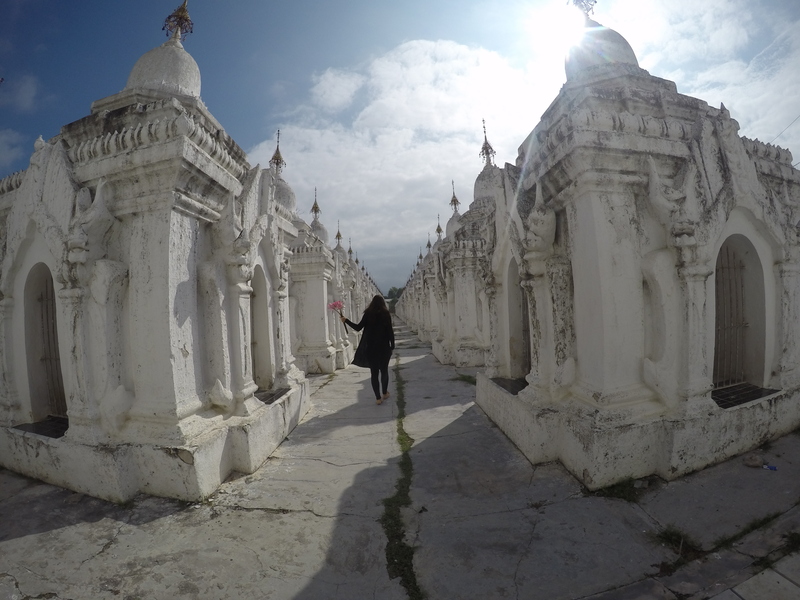 Still give it a chance and go out to explore and absorb Mandalay”s rich history. There are actually so many wonderful sights to visit. Start off by climbing up Mandalay Hill from where you can see the entire city and far beyond on a clear day, see the world’s largest book- a series of 729 stupas housing marble slaps inscribed with Buddhist teachings, visit the Golden Palace monastery- a well-preserved, all-teak structure from the 18th century and end the day with a walk over the U Bein Bridge at sunset. There is nothing to do in Mandalay? Au contraire, you know better. Want to read more about the exact tour that I did- check here.